March 25, 2010 - Daniel Webster College located in Nashua, New Hampshire informed its students on Wednesday that the college will end the schools flight program. In a closed door meeting with students and faculty, Nadine Dowling stated the flight program would be phased out. Those students that are currently in the program will be able to continue their studies and graduate but they will not be accepting new students into the program. Daniel Webster College was established in 1965 as the New England Aeronautical Institute and was associated with Boire Field. 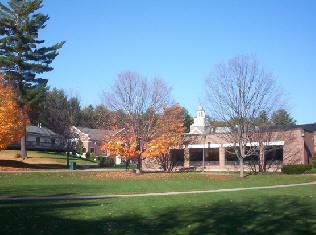 In 1978, it merged with its Daniel Webster Junior College division to become Daniel Webster College. By the mid-2000s, the college was having financial issues and failing to meet "financial responsibility standards" of the United States Department of Education, a measure of economic viability. In 2009, Daniel Webster College received a score of just 0.5 out of 3 on that scale, with 1.5 considered passing. Faced with the prospect of losing educational accreditation and federal funding, both of which would have forced the school to close, it was acquired by ITT Educational Services, Inc., the parent company of the ITT Technical Institutes in June 2009, and subsequently became a for-profit institution. “The Bachelor of Science degree program in Aviation Flight Operations will be phased out over the next several years as the students who are currently enrolled in the program are allowed the opportunity to graduate within the normal timeframe for completion. Effective immediately, no new classes will be started in this program” Daniel Webster College. Daniel Webster College currently holds a Federal Aviation Administration (FAA) Air Agency Certificate which is as an approved pilot school. The school operates flight instructional courses under Part 141 and Part 61 of the Federal Aviation Regulations. Students completing these courses could earn pilot certificates and ratings issued by the FAA; commercial pilot certificate, with instrument and multi-engine rating. Students also had the option for preparation for a Flight Instructor Certificate.